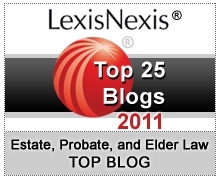 How long will it take you to receive your inheritance in North Carolina? If our state follows a national trend, the time may be growing longer. The time for estate administration is not necessarily being delayed by probate, conflicts, or contesting of Wills, but rather an intentional delay organized by the decedent before they passed away. Many Americans, particularly parents, are choosing to establish trusts that are distributed when the beneficiary reaches a certain age. Trust owners are also choosing to place limits on distributions and stagger them over time. Why are inheritances being delayed? Using trusts in this way prevents beneficiaries from receiving a single lump sum early in life and exhausting it before serious life events when the money may be more useful. Not only are heirs waiting longer for their inheritances, but they are also directed in how the money can be spent. Trusts offer specific designations. Trust owners can choose how money will be spent, whether the expenses are for education, real property, or otherwise. Student loan debt is soaring. According to Forbes, the average student loan debt carried by a graduate in 2013 is $27,000. Combined with the potential for claims from personal injury lawsuits or mounting credit card debt, parents today are being thoughtful with how they want their savings passed down to heirs. Another benefit of trusts that parents recognize is that creditors are not able to pursue funds in trusts. Parents are not the only ones who establish trusts with multiple restrictions and delays. Any individual who is concerned about a beneficiary who may be a spendthrift can use asset protection tools to ensure how and when money is spent and available. An asset protection attorney can also review tools for passing down other assets, like real property, vehicles, personal property items – as well as your digital estate if you wish heirs to benefit from iTunes, NetFlix, and other online accounts in your name.